All pasta served with our house made creamy pasta sauce (a light olive oil and garlic sauce or creole sauce is also available upon request), and served with Cajun crusty bread. Gulf shrimp, crawfish, and andouille sausage sauteed with capellini pasta tossed in a creamy sauce and topped with mozzarella cheese. Yellow squash, zucchini, carrots and broccoli sauteed and tossed with capellini pasta and a rich creamy sauce then topped with mozzarella cheese. Sautéed squash, zucchini, carrots and broccoli with capellini pasta tossed in a creamy sauce then topped with golden fried, grilled, or blackened chicken and mozzarella cheese. Fresh mushrooms sauteed with bacon then combined with capellini pasta and a rich creamy sauce. Finally we top it with tender ribeye steak. Chicken tenders, lettuce, and mayo on a hoagie roll. Ham or Turkey topped with mozzarella cheese, lettuce, and mayonnaise on a hoagie roll. Choose ONE of the following: Shrimp, Grouper, Catfish or Crawfish. Served on a hoagie roll then topped with lettuce, mayonnaise, and cocktail sauce. A nine ounce patty of ground chuck, with lettuce, tomato, onion, pickle, mustard, ketchup, and mayonnaise. Andouille sausage served with sauteed onions and bell peppers. 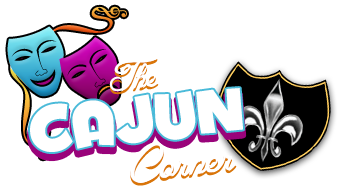 $12.95Rajun Cajun Burger...If You Dare! The mightiest burger on the bayou! Two nine ounce ground chuck patties blackened then topped with crispy onion straws, fried pickles, tomato, green lettuce and Cajun C's special spicy sauce. Ham, turkey, mozzarella, bacon, lettuce, tomato, and mayonnaise on a hoagie roll. Choose either prime rib or roast beef topped with lettuce and mayonnaise on a hoagie roll. Au Jus available upon request. Choose either ONE scallop OR oysters, served on a hoagie roll then topped with lettuce, mayonnaise, and cocktail sauce. Sliced dill pickles tossed in a Cajun breading then golden fried. Served with ranch. Fresh cut sweet potatoes fried, tossed in a light Cajun seasoning and served with our homemade dipping sauce. Fresh eggplant strips tossed in a light Cajun breading and deep fried. Crawfish tails tossed in the chef's own Cajun blend of seasoning and fried. A unique blend of Mozzarella, Romano, Parmesan, Asiago, and Fontina cheeses covered in a Italian breading served with honey mustard or marinara. Mushroom caps stuffed with crawfish, andouille sausage, tomato, and bell peppers. Then topped with mozzarella cheese. Delicious onion slices battered in gourmet bread crumbs then lightly fried. Cajun Corner's original fresh baked buttery bread topped with mozzarella cheese and spiced just right. Four fresh chicken tenders tossed in the chef's own blend of Cajun seasonings and then fried to a golden brown. Freshly sliced green tomatoes double battered & deep fried. A Cajun Corner favorite. Cajun popcorn, eggplant stix and Cajun fried pickles all tossed in the chef's special seasoning and then fried to a golden brown. Loaded with andouille sausage, red beans, onions, bell pepper, and Cajun spices. This Cajun specialty is loaded with shrimp, crawfish, andouille sausage, tomatoes, okra, onions, and spices. Crawfish tails smothered in a butter blend of onions, peppers, celery and garlic to make a delicious soup, then served topped with rice. A cup of seafood gumbo, crawfish etouffee, and red beans and rice. Served with a salad and the Cajun Corner's crustinis. All salads are served on a bed of fresh mixed greens with cucumbers, tomatoes, mushrooms, mandarin oranges, craisins, and topped with mozzarella cheese and homemade crustinis. Whether you choose fried, grilled, or blackened, we guarantee your satisfaction! Ravigote (House), Ranch, 1000 Island, Honey Mustard, Bleu Cheese, French, Red Wine Vinaigrette, Fat Free Raspberry Vinaigrette, Italian, Caesar, Fat Free Ranch, Roasted Garlic Balsamic Vinaigrette. One bite and you'll think you're in heaven! Served with your choice of one item and soup or house salad. This USDA Choice Rib-Eye is aged for optimum flavor and tenderness then hand cut, seasoned, and grilled to mouth watering perfection. Our Prime Rib is slow roasted and hand cut, just the way you like it. This 8 oz. filet is cut from USDA choice beef that has been aged for optimum flavor and tenderness. It will melt in your mouth! A hearty serving of hamburger steak seasoned with our chef's own secret blend of seasonings grilled, then smothered with rich gravy, sauteed mushrooms and onions. This delicious hand cut USDA Choice steak is coated in our special Cajun seasoning and then grilled to your liking. Our new tender and juicy Prime Pork Ribeye! Eight ounce center-cut ribeye cooked to order, served with your choice of one side and a side salad or soup. Prepared fried, grilled, or blackened. Served with your choice of one side item and soup or house salad. Sides $2.99 Each: Cajun Seasoned French Fries, Baked Potato, Onion Rings, Sauteed Vegetables (Yellow Squash, Zucchini, Carrots & Broccoli), Sweet Potato Fries, Twice Baked Potato, or Eggplant Fries. Choice of any two dinner items. Please add $2 when choosing crab claws, oysters, or scallops. Combination of any three dinner items. Please add $2 when choosing crab claws, oysters, or scallops. Served with soup or house salad and crusty bread. Your choice of delicious Red Snapper, mild white Tilapia, or Cajun Corner's famous Grouper filled with Cajun Corners' own secret recipe stuffing, then baked and smothered in a heavy cream sauce and served on a bed of sauteed vegetables. Capellini pasta with fried eggplant strips, smothered in cream sauce and topped with shrimp and scallops. Jumbo shrimp, stuffed and baked, then smothered in mozzarella cheese. Our secret stuffing is made with homemade cornbread, bacon, crabmeat, and a blend of seasonings. Served with one side item. Blackened grouper on a bed of fresh seasonal vegetables smothered in Cajun Corner's own traditional Maque Choux. All pastas served with our house made cream sauce and soup or house salad. Try our pasta with olive oil and fresh garlic sauce or creole sauce upon request. Fresh from the gulf jumbo shrimp, crawfish, and andouille sausage sautéed with capellini pasta in a rich creamy sauce then topped with mozzarella cheese. We hand cut all our fresh from the garden veggies. Yellow squash, zucchini, carrots & broccoli sauteed in a rich creamy sauce then topped with mozzarella cheese. Fresh mushrooms sauteed with smoked bacon then combined with capellini pasta and our signature house made white sauce. Then we top it with tender seasoned ribeye steak. Freshly cut yellow squash, zucchini, carrots & broccoli sautéed in a rich creamy sauce with capellini pasta then topped with golden fried, grilled or blackened chicken and mozzarella cheese. We have a full service bar! Just ask us and we will be happy to prepare your favorite drink. A mix of Bacardi light rum, Myers dark rum, pineapple juice, orange juice, a squeeze of fresh lime and grenadine. A true Bourbon St classic. A Cajun Corner original, a mix of Smirnoff vodka, Bacardi light rum, Bombay gin, and triple sec. We then finish it off with Midori melon a fresh lemon and lime. A tropical blend of fruit juices, mixed with barrel aged whiskey. This is how cajuns cool of on the bayou.